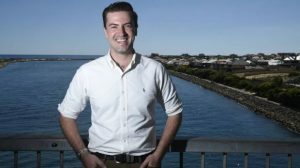 Zac Kirkup, the Liberal Candidate for Dawesville for the next state election will be visiting Lake Clifton / Herron next week. The meeting will be held at the Community Hall at 7.00pm on Tuesday 22nd November. If you want to come along to see what his policies are and what he can do for us, you are welcome. It doesn’t matter if you live in Lake Clifton. Hopefully he will support us in the same way as Kim Hames. Rabbit viruses have been used in Australia since the 1950s with the first version of the RHDV virus being released in 1995. The latest version is now being released Australia wide and is both more effective and more humane than previous versions. This new version will spread to all parts of Australia and its release in our area will simply get it here a bit faster. Like the previous versions, it does not affect other animals including domestic pets other than rabbits and humans. Before viruses were released, huge swathes of Australia were ruined and we could easily get back to that situation if we tolerate these vermin at all. 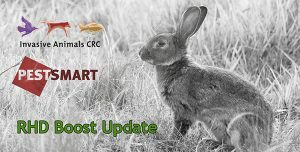 This link provides more information on the huge problems that rabbits pose to the environment and to farmers. 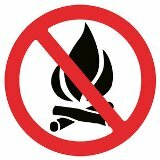 Permits are required for any fire in the dry sand areas of Waroona, including Lake Clifton from today 2 November to 14 December. For people in other zones in Waroona please visit http://www.waroona.wa.gov.au/fire-control-information-201516.aspx. Fire breaks must be completed by 30 November and please remember that the main purpose of fire breaks is to allow fire trucks to access your property. These trucks are four wheel drive but are easily bogged in soft sand so while ploughing is quick and easy, your volunteers are much more likely to be able to defend your property if they can drive safely on them.